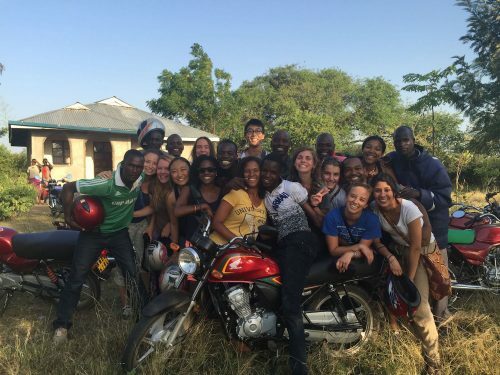 Leah Catotti’s journey with WISER in Muhuru Bay, Kenya, began in the summer of 2014, just after her junior year at Duke. As a Cultural Anthropology and Global Health double major, the DukeEngage-WISER program offered her a unique learning experience where she could grow her academic and personal interests. 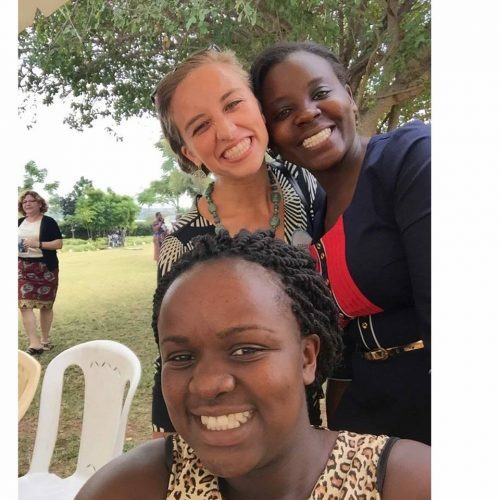 She considered all of the DukeEngage programs offered, but after looking into the different options and consulting friends who had been involved with WISER, she came to understand how unique the WISER program was. Leah recalls always having an interest in the ways race, class, gender, place, and other factors intersect to produce disparity and inequity. She wanted to learn more about the world, particularly about the intersections between gender, education, and health — and she wanted especially to learn from everyone on the WISER campus. 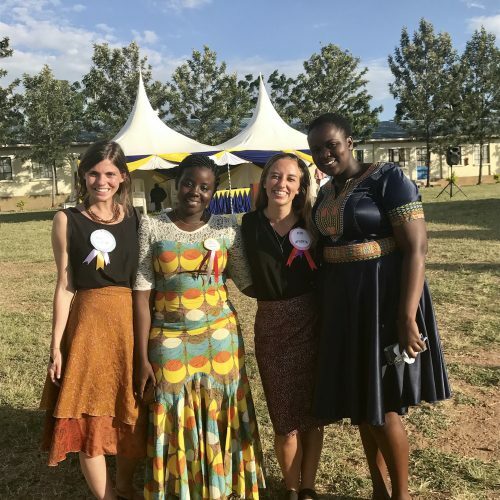 WISER (The Women’s Institute for Secondary Education and Research) empowers girls in rural Kenya to overcome the barriers that stand in the way of their health, safety, and education. The WISER Girls Secondary School near Lake Victoria takes what they call, a “whole girl” approach to provide all of the tools and resources girls need to be successful. The organization offers leadership training, psycho-social support, sexual and reproductive health education, and hands-on STEM opportunities to hundreds of girls each year. In a region where only 7% of girls finish high school, WISER has had 100% of students graduate and 90% go on to college and university. Since 2007, WISER has transformed the lives of more than 2,500 girls and their families and made young women the face of positive change in the region. having the opportunity to sit and listen to them. Leah returned from that summer and couldn’t stop thinking about the experience; she knew that she wanted to go back, and kept in touch with Dr. Sherryl Broverman, the program director. Broverman saw the passion Leah had for WISER and brought her back after her graduation the following summer as a DukeEngage site coordinator. 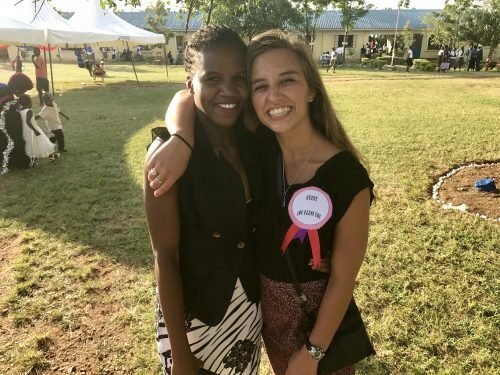 This new role meant that Leah was in charge of guiding that year’s DukeEngage students, acting as a liaison between Duke, WISER, and the Muhuru Bay community. Additionally, she was a mentor to these new students, sharing her experience and helping to shape theirs. She was thrilled for this opportunity not only to lead the DukeEngage group, but to be back in the place she had fallen in love with. Me with my friends Mouryne, a WISER teacher, and Judy, WISER’s finance administrator, celebrating the WISER graduation in 2015. Following that summer, Leah built on her experiences with WISER and her longstanding interests in addressing inequity. She began a nonprofit career by completing a fellowship with the AJ Fletcher Foundation in Raleigh and later working on the Hillary Clinton campaign. When the 2016 election was over, Leah was ready for a new challenge — and she knew she wanted to find a way to continue to drive social change. She reached out to Broverman, who offered her a full-time position with WISER, where she is now the Managing Director of Operations & Strategy. Today, this DukeEngage-WISER alum is working on strategic partnerships and fundraising for WISER (and traveling back to Muhuru Bay every few months), essentially bringing the experience full circle. She says her journey has “confirmed that WISER is a really special organization,” citing its focus on participatory community engagement as a unique and valuable aspect. The last one is me and Lucy at her graduation from WISER in 2017. Graduation 2017 is me with Judy and Mouryne again (same as above) and my friend Savannah, who was the DukeEngage site coordinator the two years following me.